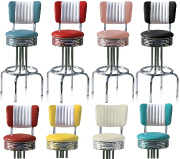 All our retro diner bar stools are heavy duty quality for domestic or commercial use. 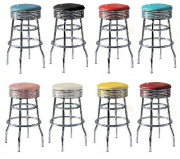 All swivel 360°. Click on any image for more details etc. 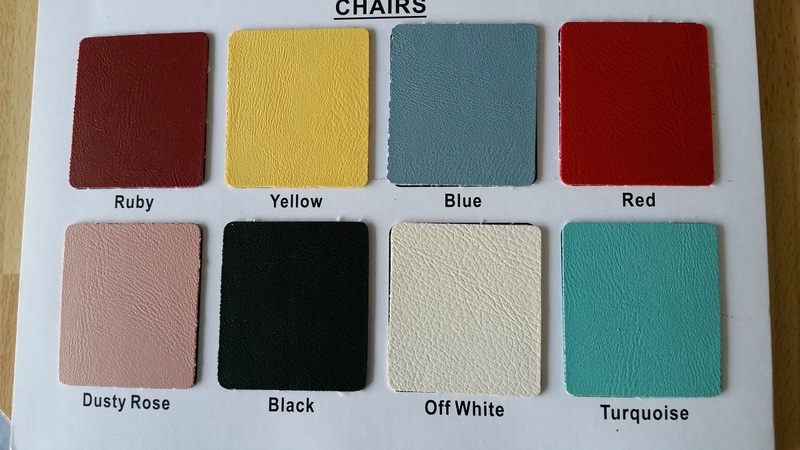 Delivery usually within 3-4 Weeks if not in stock!!! 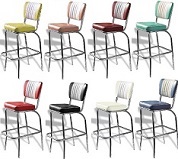 Click on image below to enlarge available Colours - 8 Available! 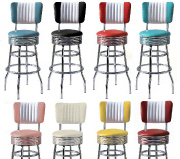 Our Commercial grade retro diner bar stools look sooo cool in an American Diner kitchen! 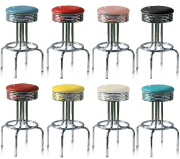 All of our retro diner stools, apart from the BS40, have a swivel top and come in a choice of 8 super colours! 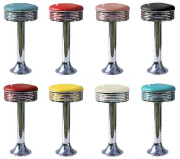 We also have soda fountain stools which fix to the floor with anchor bolts (hidden) for a truly authentic look! 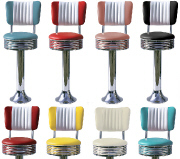 Compliment your retro diner stools with our retro diner chairs and diner booths to finish the look!